In his Will of 1692, William Barber left a small farm in Carleton Rode to support a minister in New Buckenham and build a new dwelling where the almshouses are now in Castle Hill Road for four poor people to live there rent free. 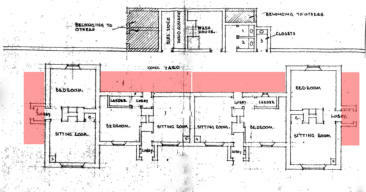 In 1861 both the almshouses and the ‘Town Houses’ around the corner in Marsh Lane were rebuilt in a similar Victorian Jacobean style, funded mainly from the estates of New Buckenham brothers Horace and Joseph Jacob Turner who were wine and spirit merchants. 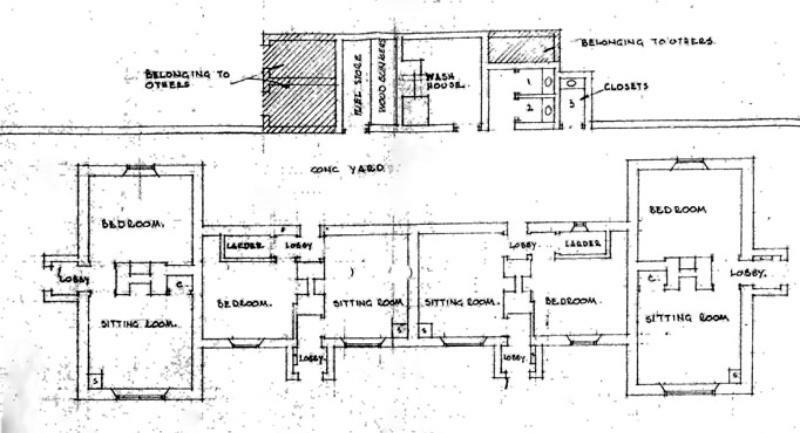 The building of four self contained dwellings remained largely unchanged until renovation in 1992, as seen in the drawing. 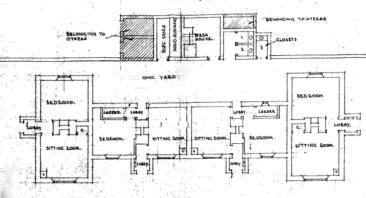 Each dwelling had a kitchen/living room, a bedroom and a lobby. Initially each resident had an allowance of 2s/6p weekly plus an allowance of coal. Electricity was not installed until the mid 1950s. The trustees ran both the Barber and Juby charities covering the almshouses, ecclesiastical and school attendance and clothing. The ecclesiastical and educational parts of the charities were eventually would up leaving just the William Barber’s Almshouse Charity. 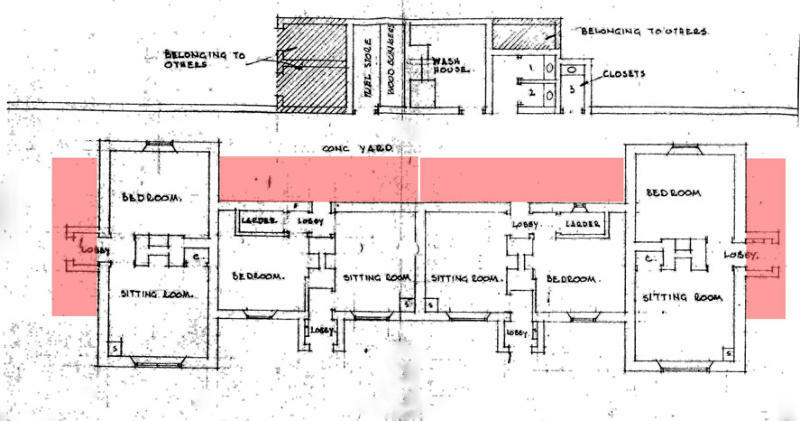 In the 1992 renovations and enlargements each dwelling was given a separate kitchen and bathroom as shown in the areas marked red. More recent alterations converted the outhouses for storage and oil tanks, again one for each dwelling.